Humpback whales migrate 16,000 miles (25,000 kilometers) annually, feeding in polar waters during summers, and mating and calving in tropical and subtropical environs during the winter. Implicit in such long-distance migrations is an innate navigation mechanism, which has been most extensively studied in the domesticated homing pigeon, a bird derived from the Rock Pigeon (Columba livia). The superb navigational skills of homing pigeons, also called messenger or carrier pigeons, have been known for milennia. Circa 2350 BCE, King Sargon of Akkad (present-day Iraq) ordered all messengers to carry homing pigeons, which would fly back to the king if they encountered any danger. In the eighth century BCE pigeons reported Olympic winners to the Athenians, and since then they have been important postal couriers during wartime, announcing the Duke of Wellington’s victory at Waterloo in 1815 and receiving medals for service in World War II more than a century later. In the 1850s, Paul Julius Reuter, the founder of Reuters News Agency, used homing pigeons to deliver news and take advantage of stock prices faster than his competition. When taken from their loft and after being released, homing pigeons have been shown to fly 1,100 miles (1,800 kilometers) away and find their way home. Far more intriguing is how they return home from sites they have never visited. Researchers have postulated theories accounting for their homing instinct based on map and compass models. The “compass” refers to an orienting mechanism, using the position of the sun. The “map,” a subject of intensive speculation, determines the bird’s position relative to the location of the home loft. Visual clues, such as recognizable landmarks or unique ground features, are useful but only when birds (and some insects) are close to home. Birds are guided by the sun, moon, and stars, but can navigate under overcast conditions, albeit not as easily. Homing pigeons may navigate using low-frequency infrasound, less than 20 Hz, far below audible detection by humans. (Such infrasound is used for long-distance communication by elephants.) Greatest interest has been focused upon magnetoreception in which the homing pigeon detects and is guided by the earth’s magnetic field by means of particles of magnetite (lodestone), an iron oxide, located in the area of their beaks or eyes. SEE ALSO: Animal Migration (c. 330 BCE). 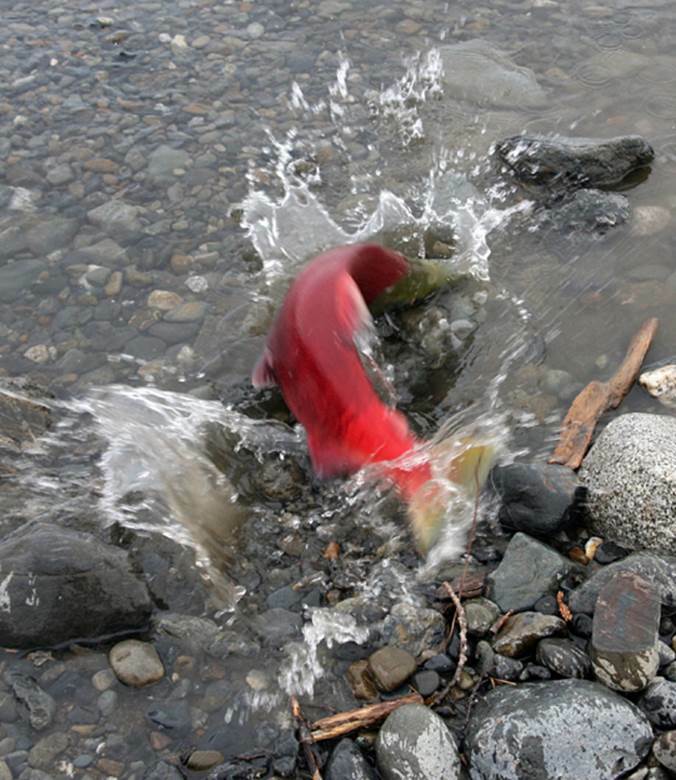 As adults, salmon spend one to five years in the open ocean and then return to the freshwater streams they were born in to spawn. It is believed that salmon use their keen sense of smell and an olfactory memory as navigation devices.